The storm-time correction of the F-region critical frequency is primarily of benefit for high frequency (HF; 3-30 MHz) communication users. 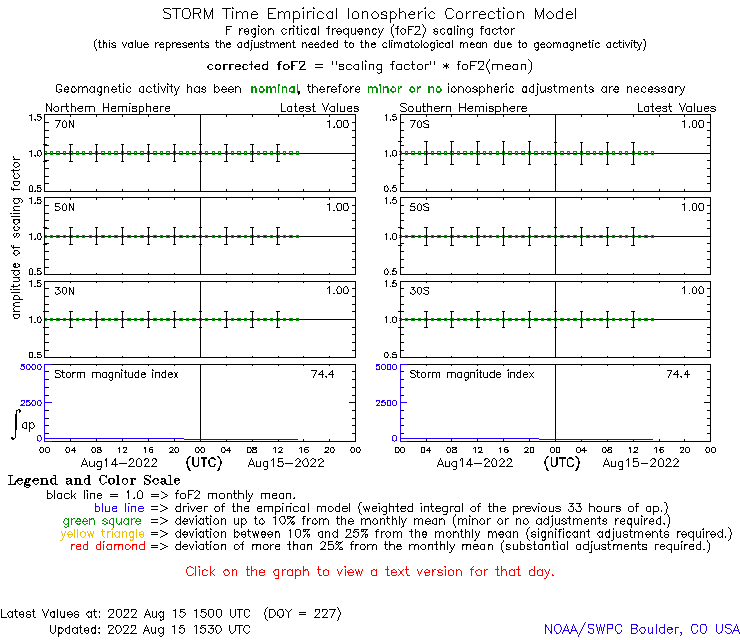 The STORM model provides an estimate of the expected change in the ionosphere during periods of increased geomagnetic activity. The model estimates the departure from normal of the F-region critical frequency (foF2) every hour of the day for the current and previous day. The STORM model was developed from ionospheric observations during many storms that were analyzed as a function of season and latitude.